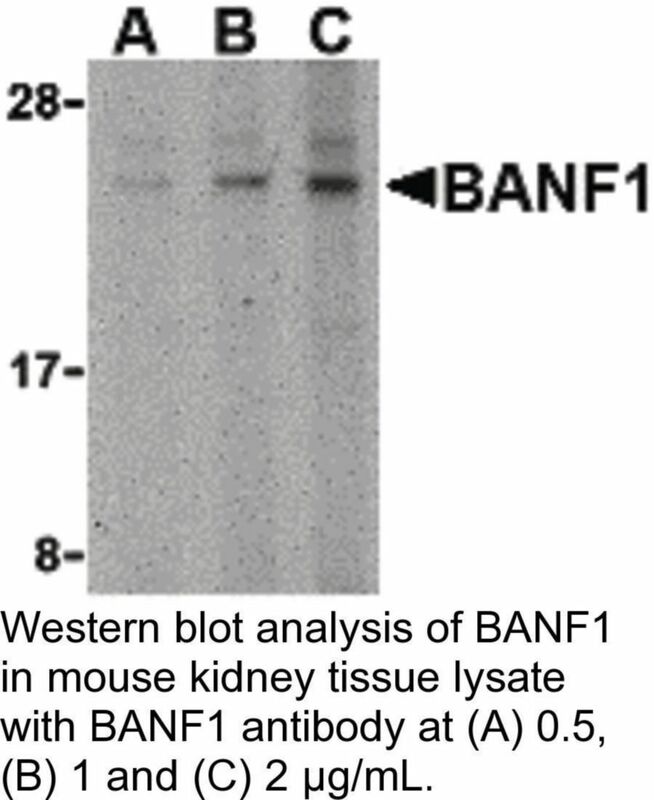 BANF1 Antibody: Barrier-to-autointegration factor 1 (BANF1) is a conserved chromatin protein that non-specifically binds double-stranded DNA. 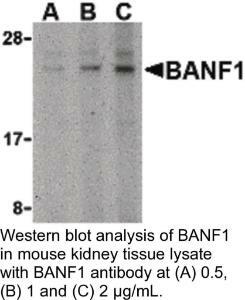 BAF also interacts with a family of nuclear proteins that include LAP2, emerin, and MAN1. 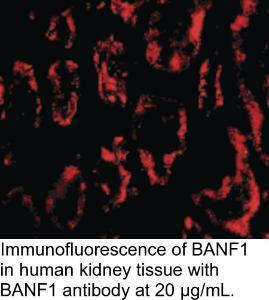 It is also a host cell component of retroviral pre-integration complexes (PICs), including that of HIV. BAF will bind to p55 Gag (the structural precursor of HIV-1 virions) as well as its cleaved product matrix. 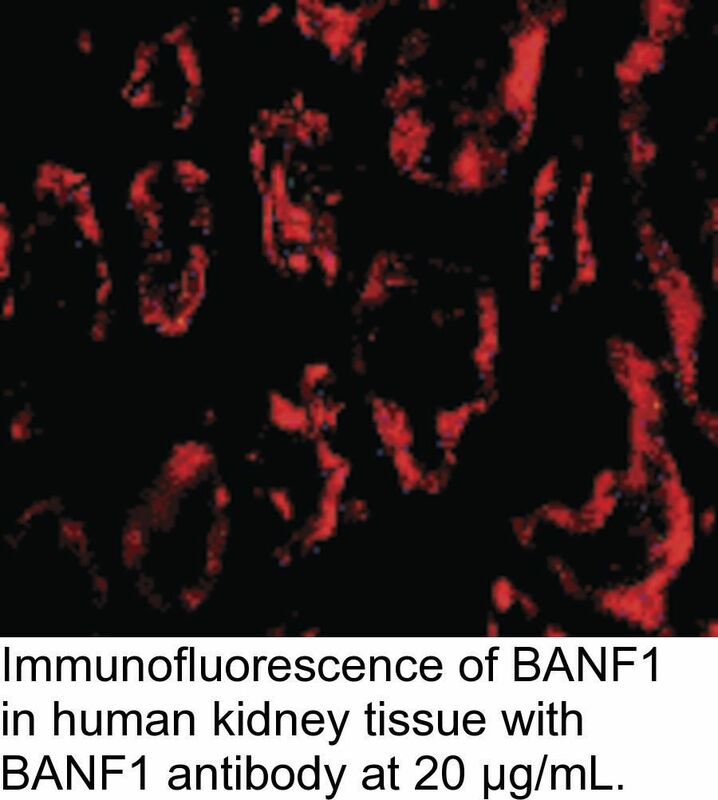 In addition to being a host cell component of the PIC, it is thought that BAF is also present at low levels in incoming virions, and thus might contribute to the assembly or activity of HIV-1 PICs through direct binding to matrix as well as DNA.